This year has been the year of the comeback-trend. Anything and everything from the '80s is proving to be the most popular. Need proof? Just look at all the plaid, volume, metallics and bold colour we've seen pop up on the runway. While some trends have been easier to style than others this season, one that we've avoided dipping our toe into, is the puffy sleeve trend we first spotted at Fashion Week Australia. That is, until now. Too extravagant? Too much of a statement? Too many raw memories still left over from the '80s? Well that's all about to change. 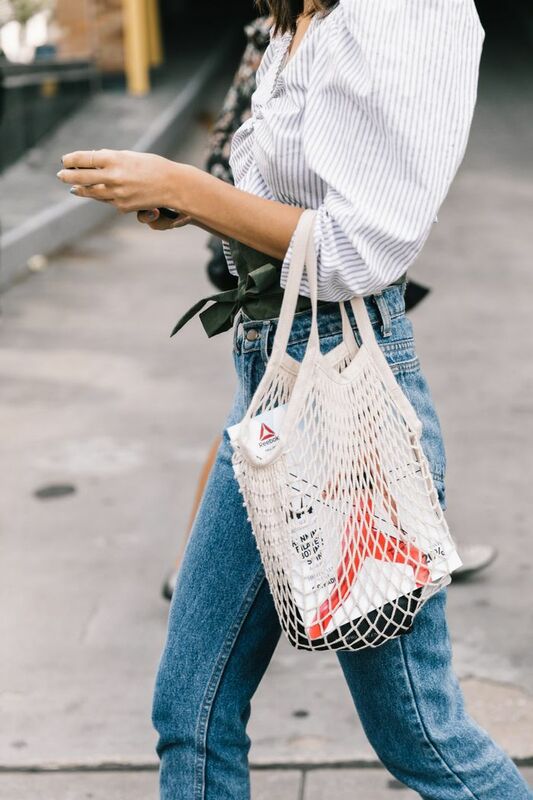 After the influx of street style images from New York Fashion Week, we’ve had fresh inspiration on how to style this trend, and it's come just in time for summer. No matter how voluminous the sleeve, it seems our favourite style stars know how to make it look perfectly proportioned. How we’re interpreting the trend? Keeping the bottoms minimal and classic and as fitted as possible. Another easy styling trick is to tuck the blouse into your pants or skirt to give your waist definition. Keep scrolling to see the outfits we’ve been inspired by and shop the trend for yourself. The perfect date night top to wear with vintage jeans and sleek kitten heels. Take the trend one step further with texture and embellishment. White will look so fresh this spring, and the high neck makes for a perfect canvas for layering necklaces. Love NYFW street style trends? Follow us on Pinterest.